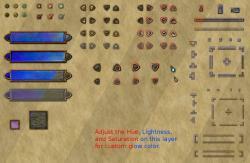 This is a modified version of Lamoot's RPG GUI contstruction kit with Dakal's Magic Buttons as cursor decor. 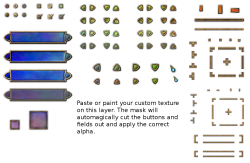 I added a layer to allow for simple paint/paste custom textures instead of the original wood. 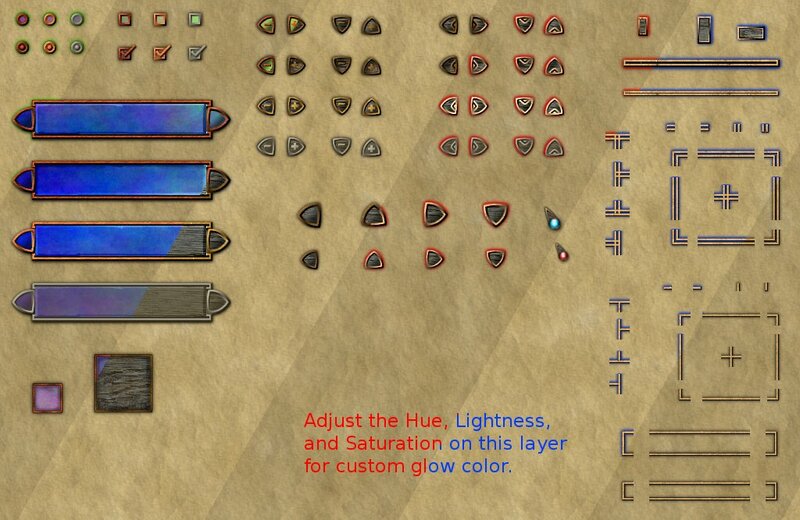 I also added bronze and rust finishes and a layer to make a 'glow' instead of a shadow. 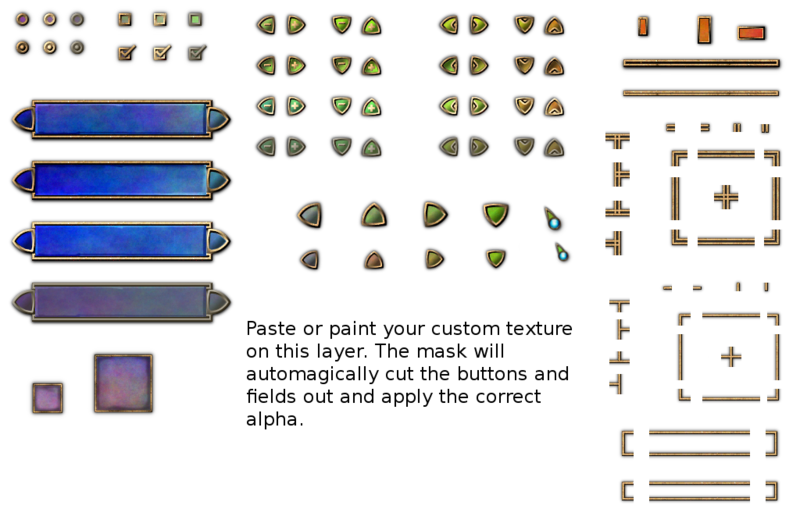 Finally, I stuck in two cursors with layers for all Dakal's magic buttons for a fancy look. As with the original, it is in Gimp form. Thanks to Lamoot and Dakal for the original files. I was totally blown away by this beautiful piece. Everything is perfect! How would i go about downloading the .xcf file and opening it?